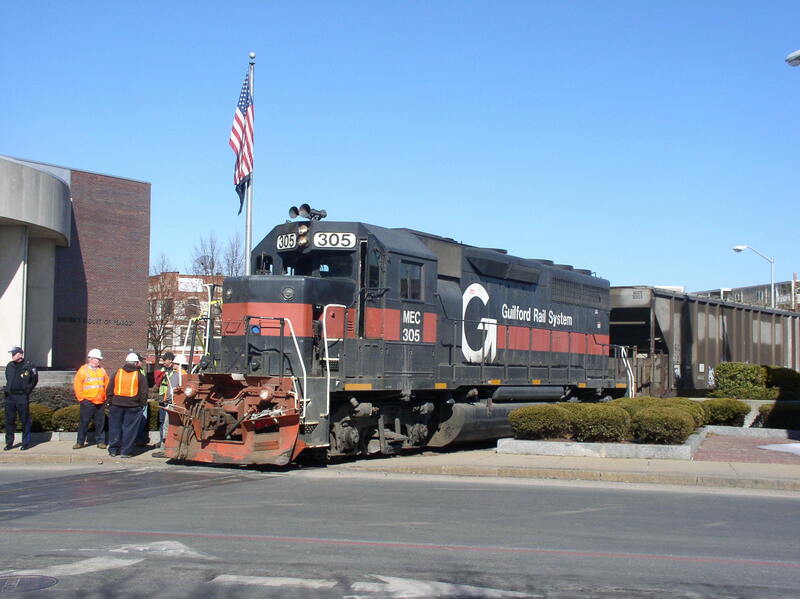 On March 1st 2007, Pan Am BO-1 waits at the Lowell St. crossing in Peabody Square, after it struck a dumpster, causing damage to an adjacent building, while en route to the then Eastman Kodak Gelatine facility. It took several hours to inspect and clear the area of debris. Photographed by David Rath, March 1, 2007. Added to the photo archive by David Rath, November 2, 2018.